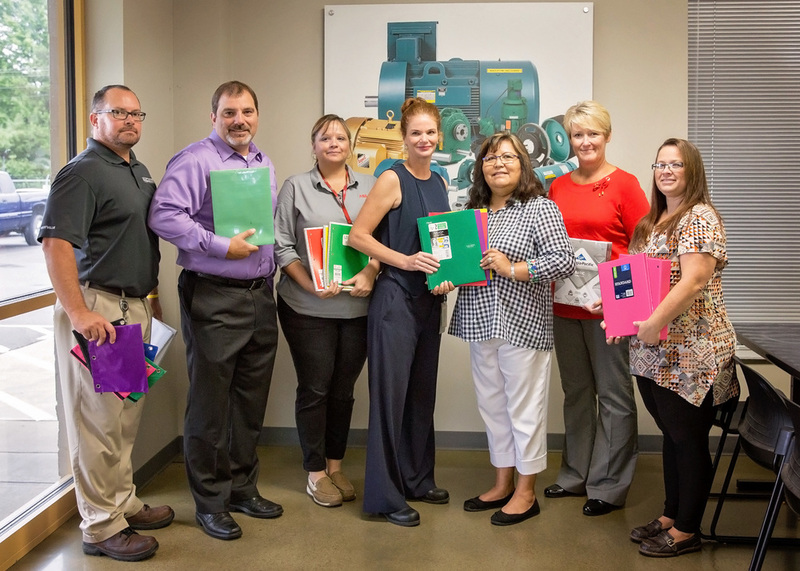 The employees at the Westville ABB (formerly Baldor) plant recently donated assorted school supplies for our elementary students. ABB employee, Machelle Vaughn, came forward with the idea after she saw parents struggling to buy supplies as well as teachers who were buying supplies for their students. She spearheaded the drive with full support from the plant manager and front office staff. Pictured above - Tony Yeager, Terry Heustis, Machelle Vaughn, Myla Peatree, Yvonne Cummings, Kellie Edwards, and Sheena Pathkiller. Westville Superintendent, Terry Heustis, said the supplies would definitely help and he appreciated the support of ABB and its employees. Thank you ABB employees. It's wonderful to have you in our corner!